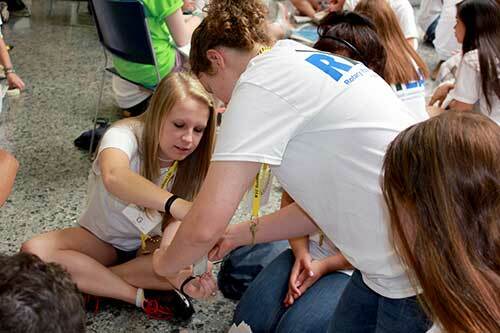 See the About RYLA page for general program description. For a printed copy of this Action Plan, see the ClubPack manual. Provide RYLA with the contact info of your RYLA chair. We send out helpful info pertaining to the RYLA program, including deadline reminders. If your club doesn't have a RYLA Chair, or doesn't provide their contact info, we will send this info to the Club President. If your RYLA Chair’s contact info changes during the year, simply use the same link to submit new information. We’ll use your most recently submitted info. Ideally, this should be done by a “Selection Committee” of members from your Rotary club. To help you in this process we have included Selection Guidelines, Interview Questions, and an Evaluation Form as part of the ClubPack Support Materials. Although it is not recommended by the RYLA Committee, some clubs allow their local schools to select the students who will go to RYLA. If this is the case, it is important to provide the school with a copy of the Selection Partner Information Sheet and RYLA Selection Guidelines. Selection is absolutely the most important step in the entire process. Choosing students who show leadership potential and who are enthusiastic about attending the program is crucial for the success of RYLA. 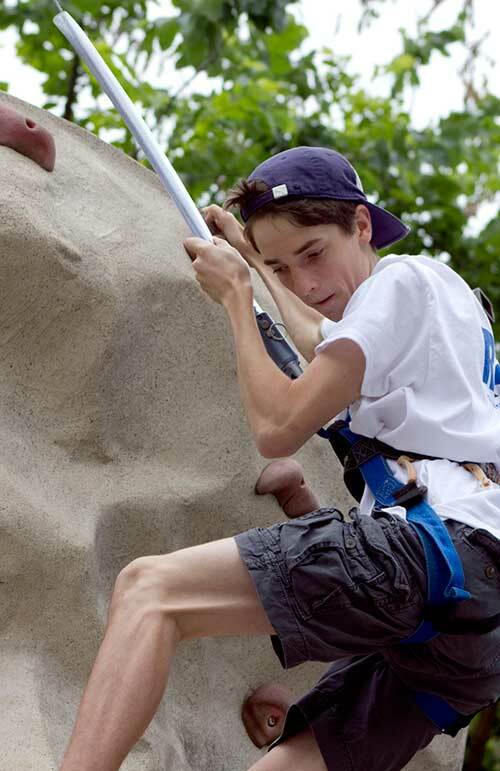 As it is with Rotary, students will get out of it what they put into it. 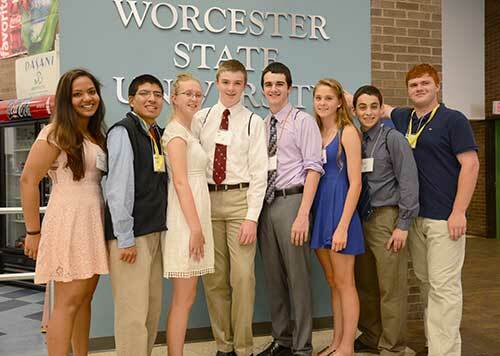 Spread the word about RYLA to your community and local schools, targeting students who are currently sophomores. Use Press Releases to local newspapers, Flyers and Announcements to schools (public and private), and network with family, friends, and community organizations. Ideally, you should start promoting RYLA in the fall. The deadline date for student applications is up to your club, but keep in mind that you need to allow time for student interviews, selectiion, notification, registration, and paperwork collection. In order to meet the coming deadlines, you should aim to complete your promotional efforts by mid-January. The ClubPack Support Materials include sample promotional documents you can personalize with your club info and/or print on your club letterhead. The district RYLA Committee will provide a special training session in January or February to prepare you and your club for RYLA. ALL Club RYLA Chairs are requested to attend this training. If your club does not have a RYLA Chair, the club’s Youth Chair or Club President should attend. Reserve space at the RYLA Conference for your attendees by completing the eZ Space Registration Form and then mailing in your payment. IMPORTANT: Reservations MUST include full payment, and MUST be postmarked no later than March 1st. Full details are provided on the eZ Space Reservation Form. PLEASE DO NOT LEAVE THIS ACTION TO THE LAST MINUTE, or your students and your club will be at risk of being excluded. Collect applications from interested students. A Student Application Form is included in the Support Materials; you may use this form, or create your own. Application Forms can be provided to interested students on request and/or made available through the school guidance office. Make sure to specify your RYLA Chair's contact info as well as application submission instructions, and a DEADLINE DATE for their submission. INTERVIEW ALL APPLICANTS and evaluate them using the interview tools in the ClubPack Support Materials, or your own selection methods. The ClubPack includes a list of Guidelines for selecting potential applicants, a sheet of Interview Questions, and an Evaluation Form. Each interviewer should be provided with a copy of these three pages, along with a photocopy of the candidate's completed Student Application Form, when they interview each candidate. Candidates must be interviewed individually. A good strategy is to set up a block of time for your RYLA Committee to interview candidates at their school. School admin may help schedule the student interviews. 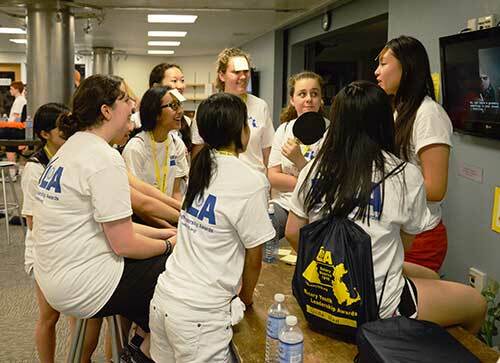 NOTE: If a school selects students for you, you should ask them to follow RYLA's Selection Guidelines. They may also find the Interview Questions and/or Evaluation Form helpful. Make sure to tell the school the number of Attendees your club will sponsor. After interviewing all Applicants, select your “Attendees” based on the number of spaces your club reserved in March. It’s a good idea to also designate some “Alternates” in case a selected Attendee becomes unavailable to attend. You may designate ANY NUMBER of Alternates. If you have fewer Applicants than than number of spaces your club reserved in March, an Alternate will be selected from the pool of all Alternates from all clubs. Your reserved space will not go to waste. Be sure to submit student Attendees and Alternates. Please make sure to submit your student names BEFORE your students attempt to register online. PLEASE TELL THE SCHOOL TO PROVIDE YOU WITH THE STUDENT NAMES BEFORE THE STUDENTS ATTEMPT TO REGISTER. Send response letters to ALL APPLICANTS by March 15 at the latest. Sample notification letters are provided in the Support Materials. 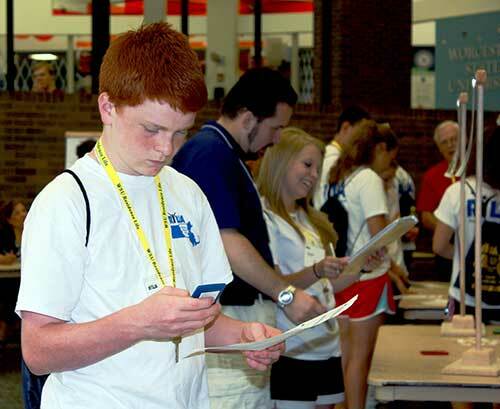 Your letter serves several purposes: 1) it lets them know whether they were selected; 2) it provides instructions for Registration and other important info for students and parents; 3) it identifies who their Sponsoring Rotary Club is — many students are unaware, and they will need to know this for Online Registration. MAIL YOUR LETTERS BY MARCH 15 to provide adequate time for students to register online. If for some reason your letters cannot be mailed by March 15, PHONE YOUR SELECTED STUDENTS to convey the important information so as not to delay their Online Registration! For ALL "selected" candidates (Attendees AND Alternates), include the Registration Guide with your letter. Make sure to include your contact info on any materials that you distribute. Tell your selected students to Register Online as soon as possible (by April 1 at the latest). Don't neglect to send out a press release! It's another chance to tell the community about your club's great work. Take photos of the students with their parents, with members of your club or just as a group, and submit them to local papers along with the press release. It's great for the students—and the club! A sample Congratulatory Press Release is provided in the Support Materials. Consider inviting your future RYLAns to a Rotary meeting prior to the conference so that they may become exposed to Rotary and your club, and so they will begin to have an idea of what Rotary is about. Have a Rotarian spend some time with them explaining some of the programs that your club supports in your community. 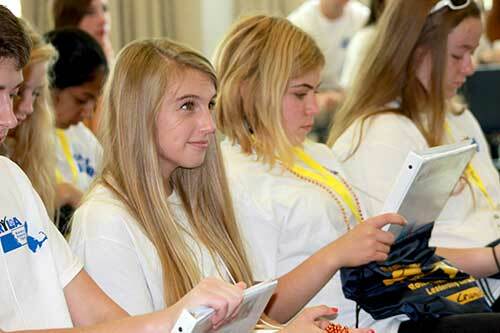 Make sure the students you are sponsoring clearly know which Rotary club is sponsoring them! Online Registration is available on the RYLA website beginning mid-March. Students should register as soon as possible, in case they run into any questions or problems during the online registration process. PLEASE NOTE that Alternates should proceed with Online Registration just as if they were Attendees. We will need to have their information processed and ready to go if the opportunity arises for them to fill a vacant spot. After students submit their Online Registration, they will receive an email with their offical “Paperwork”. Student and Parent should review the paperwork and SIGN IT. Instructions on the paperwork advise them to provide the original signed paperwork sheet to their sponsoring Rotary Club by April 5. This will allow the sponsoring Rotary Club adequate time to collect and review the paperwork of all their selected students, and mail everything to the RYLA Registrar by the deadline. When your students register online for RYLA, they get an email with a link to download the official "Paperwork." The paperwork consists of a SINGLE PAGE that must be signed by the student and their parent. Please click on the picture below to see a sample. The Sponsor Club must collect students' ORIGINAL paperwork, check to make sure it's properly SIGNED, and mail it to the Registrar by the APRIL 15* deadline. Please note that WE NEED HAND-SIGNED ORIGINALS, for legal reasons. *No student paperwork will be accepted with a postmark dated after April 15. If forms are not submitted by this date, you will unfortunately have to inform your candidates that they will not be able to attend RYLA. No refunds will be given to the club. CHECK WITH STUDENTS two weeks before the conference to confirm all details. Are they still committed to the entire weekend? They must be present for the ENTIRE program. NOTIFY THE REGISTRAR IMMEDIATELY in the event of a cancellation. Do they know where they need to be, and when? How will they be getting to and from the conference? Students are NOT allowed to come to the conference in their own vehicles. You may need to provide transportation for them. Do they know what they need to bring? They will receive this information during the online registration process. It is also on the website. Make sure they have it and are all set. Following the conference, you should invite your RYLAns to speak at your club about their RYLA experience. Make sure to take photos of your RYLAns when they speak at your club meeting! If you did not send out a Congratulatory Press Release yet, this is a good time to do so. The Club RYLA Chairperson should invite feedback (from the students AND the club) about the conference and the selection process that led up to it. Any feedback should be communicated to the RYLA Committee for improvement in future years. Email feedback to 7910ryla@gmail.com or mail it to the District 7910 RYLA Committee Chair. For a printed copy of the Action Plan, see the ClubPack manual. ROTARIANS are encouraged to attend at any time throughout the conference. 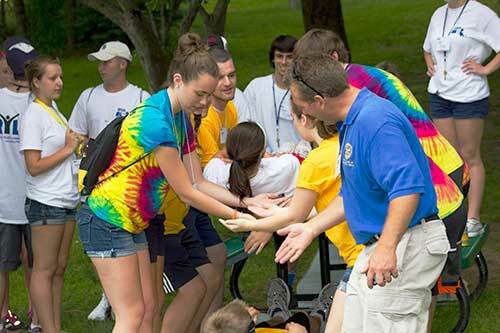 ROTARY CLUBS that sponsor RYLA students are asked to send volunteers. I can’t wait to go home and tell my friends all about my weekend!